Telehandler Training - CPCS December Special - Save £539!! If you’re looking to get a great deal on telehandler training then you don’t want to miss out on this December special.! From Monday 10th December to Friday 14th December we’re running a CPCS A17 Telehandler (all sizes exc slew) 4-Day Novice Course at our centre in Wokingham for just £995 including vat (usually £1,170). 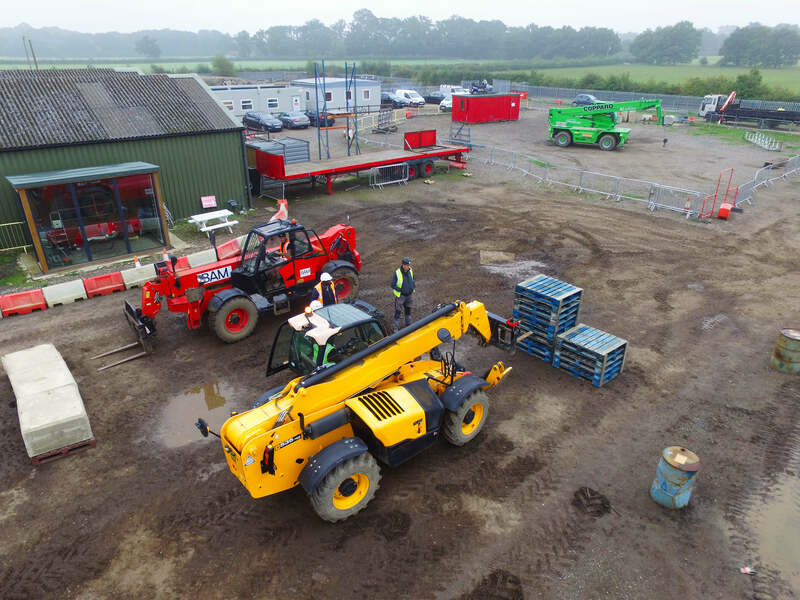 There are limited spaces available on a first-come-first-served basis and those who sign up will also be eligible for a (optional) 50% discount on our 2-Day CPCS A17e Telehandler Suspended Loads Course which will take place on Monday (17th) & Tuesday (18th) the following week (was £714). This means that for a total of £1,345 inc vat you’ll get a 4-day CPCS telehandler course plus a 2-day suspended loads course – and you’ll save £539 which you can spend over the festive period – Merry Christmas..! *Payments can be made by credit or debit card. Please note that an additional £10 charge will apply to credit card payments. All prices mentioned in this article include training, testing, notification fees, card application fees and vat! You must have a valid health, safety and environment test within the past 2 years to be eligible for any CPCS assessment. We can accommodate this test at our centre for an additional fee of £50 (inc vat) if required. Just completed a five day A77 Telehandler 360 slew. BAM is one of only a handful of training centres that can do this on a regular basis. They have their own MAGNI machine on site. Top equipment, skilled trainers and a nice pleasant site to spend a week. Thank you to all the staff at BAM. Don’t chance going anywhere else! Patience and very experience trainer, Joe Henry. Thanks for helping me to pass my A17c Telescopic Handler practical test. Am really grateful. Just posted my updated CV on indeed and people have started calling me. All thanks to you Joe Henry. Keep up the good work. Very professional training facility. Didn’t pass the practical & because the Boss, Matt Durant, wasn’t happy with the training standard…I was allowed to come & resit it for free. Can’t fault the place or staff. Recommend Joe Henry for practical training..certainly knows his stuff. Just completed 3 day singer/signaller course. The staff were all professional and gave you everything needed to complete the course successfully. It felt like a big family vibe lots of joking. I would recommend this training centre to all. Read more of our reviews on Facebook and Google, or check out our A17 Telehandler playlist on YouTube to see some training videos. Call the office on 01189 790 030, email us or chat to us on our website!